Home / Updates / Reduce plastic bag waste AND support River Relief at Lucky's Market! Reduce plastic bag waste AND support River Relief at Lucky's Market! Bring your own shopping bags and turn them into cash for River Relief! 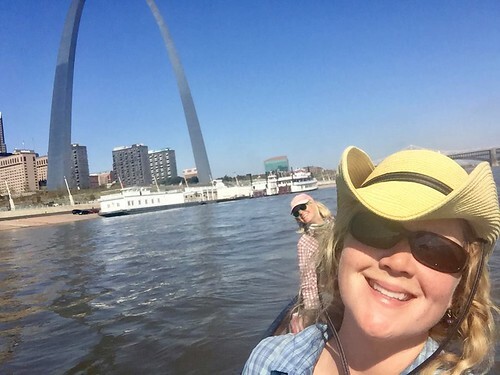 Our friends Alyce and Lisa have been paddling the Missouri and Mississippi River all summer and fall as part of their Source of Confidence expedition. (Check out their Facebook page here). 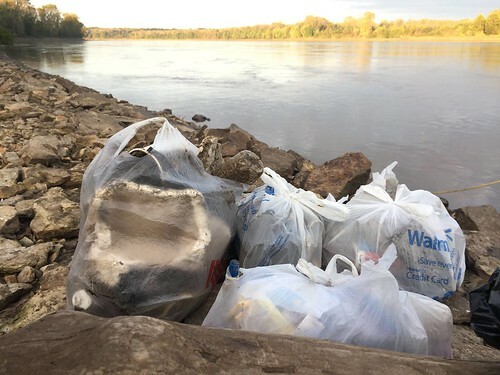 They have seen a LOT of plastic shopping bags along the way, and they decided that one thing they could do is FILL those stupid bags with other river trash and get rid of them! But here's a better idea...NEVER TAKE THOSE BAGS IN THE FIRST PLACE! Thanks to the awesomeness of our friends around the world that voted on Facebook, Lucky's Market in Columbia, MO, has invited Missouri River Relief to be part of their "Bags for Change" program from now until JANUARY 28th! For each bag you use, they'll give you a wooden dime. Drop the dime in the Missouri River Relief box on your way out and they will turn into REAL DIMES in 2017! We'll also be hanging out with a booth at Lucky's several times during that time. Find out when on our facebook page and we'll have some reusable bags to hand out. By the way, here's a photo of Alyce and Lisa paddling by the Arch. Congrats on finishing the longest river in North America ladies! Onward to the Gulf!